New Years Eve in Las Vegas – What You Need To Know! 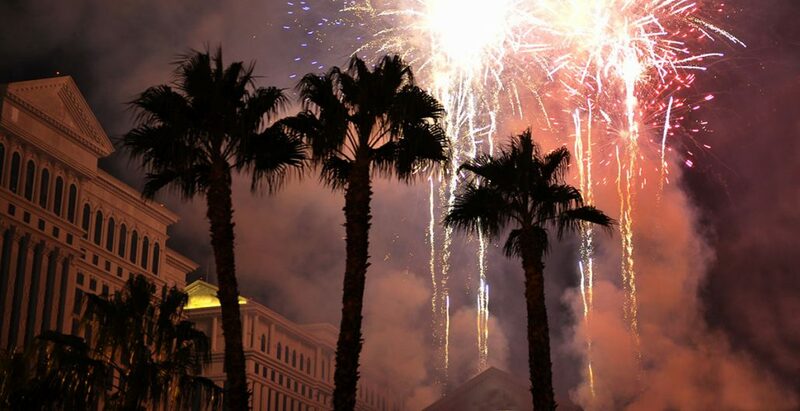 One word can be used to describe New Year’s Eve in Las Vegas – crazy, but in a good way. The Strip is closed to traffic, which turns the entire area into a large block party where you and approximately 300,000 of your friends can party the night away. 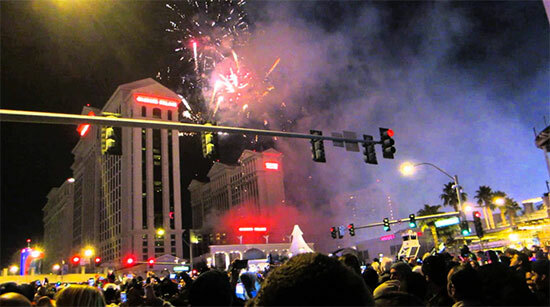 Then at midnight, the casinos work together to launch a fireworks display that easily rivals (some would say surpasses) the ball drop at Times Square. Meanwhile, the showrooms are alive with the best entertainment and nightclubs are packed with partygoers and celebrities, all dressed to impress. The Strip isn’t the only pace that you can go to ring in the New Year, Fremont Street is also filled with thrills. This year, the biggest entertainers will be performing for a total of 10 combined hours of live concerts on three separate stages. You will want to wear your Jimmy Choo’s and Prada bow ties to this event because this Vintage Vegas New Year’s Eve Party is all about luxury and high society elegance at it’s best. You’ll be treated to a live band, an indulgent buffet, and a champagne toast that celebrates all the good things about 2016. And, perhaps the best part, is that you won’t have to worry about not seeing the fireworks. You will get a perfect view of the Stratosphere’s Rooftop Show while celebrating the New Year with style. ● Book your reservations early: Vegas is the place to be during the holidays so, it comes as no surprise that hotels rooms get sold out quickly and prices rise around this time of year. To make sure everything goes off without a hitch, book your accommodations as early as possible to get the best prices and rooms. ● Traffic can be a pain in the you-know-where: In Vegas, traffic is challenging on a regular day but, when you add in the hundreds of thousands of partygoers for the holiday season, things can get nasty- especially since the police shuts down the Strip as early as 6 pm. So, If your plan is to go partying on the Strip, make sure you get there early. This rule applies even if you will be attending a party or an event at one of the world-famous casinos. ● Getting around: The best ways to get around Vegas on New Year’s Eve are by hoofing it, Uber/Lyft, hailing a taxi, or using the Monorail. (Be aware Uber and Lyft will have increased rates during peak hours!). ● NYE for anti-crowd people: If you don’t relish the thought of hanging around throngs of people that are dancing and/or drinking, then don’t go to a club, the Strip, or the Fremont Street Experience to ring in the New Year. There are a lot of shows in the area that will do something special for the occasion so, try to catch a Broadshow show or other similar event. In this way, you can toast another year with like-minded people. NYE in Vegas is an unforgettable experience, something that should definitely be on everyone’s bucket list. And, if you follow the above tips, you will be sure to have the time of your life. Cheers! 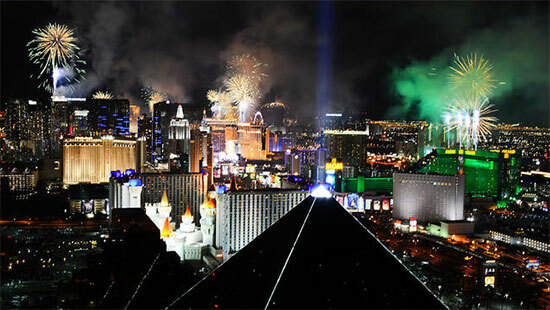 https://cityvipconcierge.com/wp-content/uploads/2016/12/New-Years-Eve-Las-Vegas-featured.jpg 616 1200 bjorn https://cityvipconcierge.com/wp-content/uploads/2015/06/cityvip-logo-main3.png bjorn2016-12-17 08:10:202016-12-17 08:12:22New Years Eve in Las Vegas - What You Need To Know!